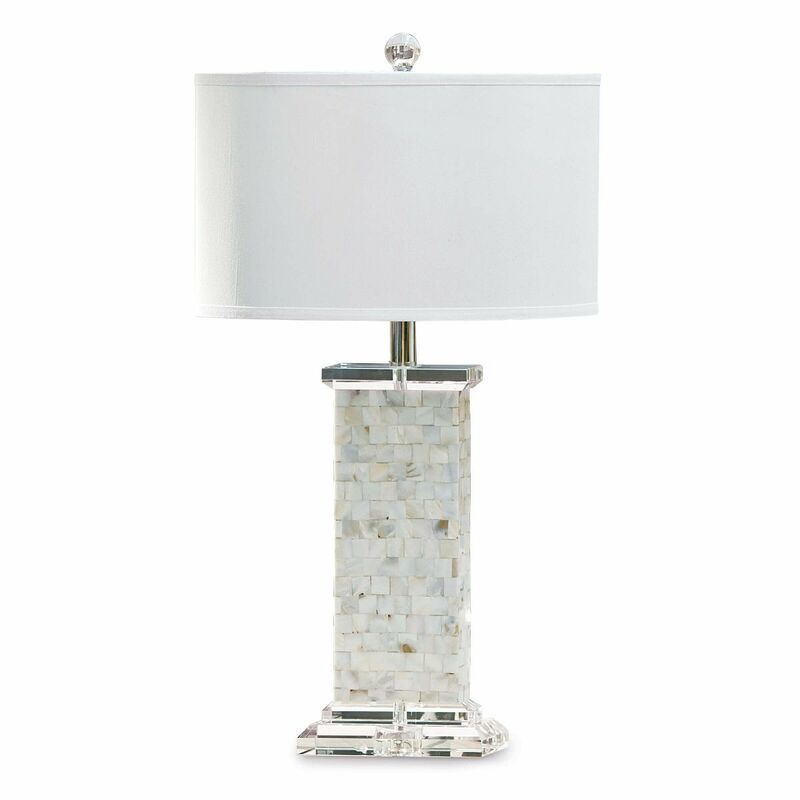 Brook Mother of Pearl Table Lamp is pearlescent perfection. Topped with a white linen drum shade. The rectangular column of iridescent mother-of-pearl tiles with a crystal-clear accent piece atop and at the beautiful base makes this an alluring addition to your coastal living room or bedroom.